Development is concentrated towards the fulfilment of human needs and necessities. Developmental activities are indispensable for the development of a country. The term development denotes the positive and constructive improvement in existing physical human and cultural status. So, the term development can be defined as a process by which the members of society increase their personal and institutional capabilities to mobilise and manage resources to produce sustainable and justly distributed improvement in their quality of life consistent with their aspirations. Development works are associated with the environment. 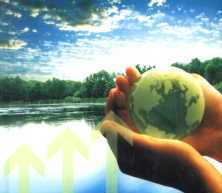 In order to conduct development works, environmental resources such as land, forests, water, minerals, etc. are used. They bestow upon people various types of advantages. Different countries conduct different kinds of development works according to the available resources. Development works bring about economic development. Agriculture, industry, electricity generation, road construction, tourism, etc. help to increase income. Economic development provides job opportunities. Therefore, development works contribute to economic prosperity. Development work enhances our facilities. Road construction makes us easy to go from one place to another and transport goods. Hospitals and health centres provide us health service. Agricultural development improves the economic status of the people. It supplies industry with raw materials. Establishment of industries provides employment. In this way, development activities bring economic advancement and quality of life. Food, clothing, housing, education, health service, drinking water, sanitation, energy, entertainment, security, etc are people’s basic needs. The aim of various developmental works is to fulfil these needs. Each country has its own geographical features which influence different development and construction works. It is necessary to conduct development activities proportionately in different parts of the country. Various resources like land, water, forest, mineral, etc. are used in development activities. Development is indispensable for social welfare. It assists people to utilise natural resources like land, water resources and vegetation. Then, people feel the need for conserving these resources. Development with environmental conserves helps people to fulfil the social needs sustainably and the improvement in economic status. It makes different in their lifestyle. When the feeling on environment conservation increase , they will be involved to conserve it. Development makes people get opportunities to use their knowledge and skills. Besides, their experience and work-efficiency will be increased. The development of knowledge and skills of people help to maintain the resources. The development and expansion of human dexterity contribute to national development and environmental conservation. Development works are determined by the country’s geographical situation, educational status of people, economic capacity, social condition etc. Accordingly, means and resources, technology, working skill, etc. are also necessary. They are advanced with the development activities in the country. It helps to develop the technology in the country. Knowledge without technology is incomplete. Technological advancement through development activities accelerates national development. People must understand the importance of the inter-relationship among various aspects of the environment. They use the natural resources in various ways. They make their house on the land and obtain food by cultivating in it. They bring wood, firewood, herbs, etc. from the forest. They get air and water from the environment. They can fulfil their needs if the interrelationship among the environmental aspects is well-retained. Human beings conduct various development works to meet their needs and aspirations. People have to conduct development activities regularly to satisfy the desire of the growing population. In that process, people must not forget the conservation of the environment. People run various development activities. Road construction, increase in agricultural production and industrial goods, exports of ready-made goods are some examples of economic development. Such activities provide employment to the people and help to develop their working skills and performance. 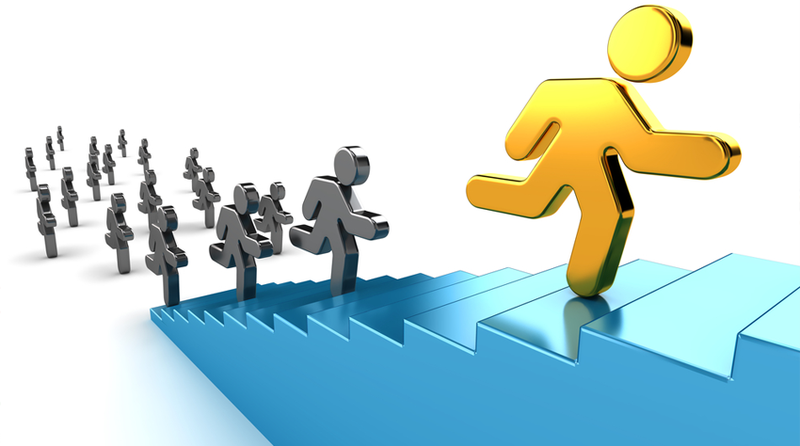 It leads to the capacity development of a person, society and nation. The quality of life of people cannot be improved without development activities. Development activities include physical construction as well as socio-cultural development. People can promote, conserve and repair their religious places, temples and monasteries. These development works are related to socio-cultural aspects. Conservation and promotion of these aspects support the people's cultural progress. Therefore, it is necessary to maintain the sound interrelationship among the development works, population and different aspects of the environment. Development means positive and structure change in the physical, culture and economic condition of any place or person. Human resources, physical aspect, the social aspect and economic aspects are the types of infrastructures and development. Land, resources or raw material, electricity, transportation, manpower, machines, water and capital are required to set up the industry. Sustainable development means to conserve resources without affecting its quantity and quality. In 1983 then Prime Minister of Norway under his leadership one commission was formed regarding sustainable development in 1983 A.D published report about common future is called Brundtland Commission. Any positive change that improves the quality of life is known as development. 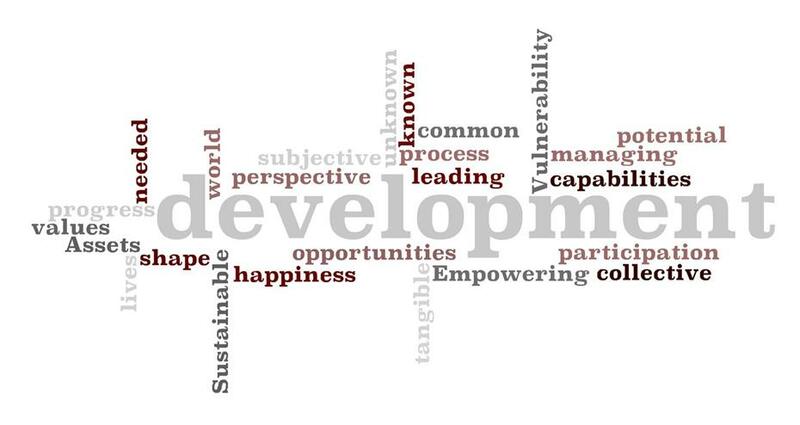 Write any one importance of development work. Development work helps to make quality of life better. Which aspect is to be considered most while launching development works? While launching development works, environmental aspect is to be considered most. Economic planning is a planning on which learn how to earn money and spend it in a best possible way with the decision over certain possible problems that helps to accelerate the development of a place. Give reasons how development activities bring economic progress. Due to these, many people can get employment opportunities. For an example, if an industry is established, numerous people can get job. By the provision of communication and electricity people can run their own business and earn money. Development activities give opportunities to the local people to improve their living standard. Due to the provision of education, society can be civilized. Development in security avoids crimes in the society. Show the interrelationship between population, environment and development. Population, environment and development are very closely related with each other. Environment is very important for human survival and development. Development activities, which are conducted by man use the resources from the environment. It is human population that enhances and recognizes the importance and usefulness of the environmental resources. Without population, environmental resources goes to wastage. Human beings can contribute to the conservation and promotion of the environment. Development activities also has effects on both population and environment. Unless it is property managed and controlled, development process brings serious effects on the environment. The effects on the environment then cause different kinds of problems of the population. Manufacture goods or to provide service by using different resources is called ______. Which one is the control of unscientific urbanization? Which one is the importance of industry? In which country, prime minister leadership one commission was formed regarding sustainable development? A process by which the members of society increase their personal and institutional capabilities to mobilize and manage resources to produce sustainable and justly distributed improvement in their quality of life consistent with their aspirations is called ______. Any Questions on 'Population, Environment and Development '?